On screen colours may differ in appearance please check our colour swatches in store. 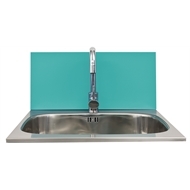 Sink and tap not included. 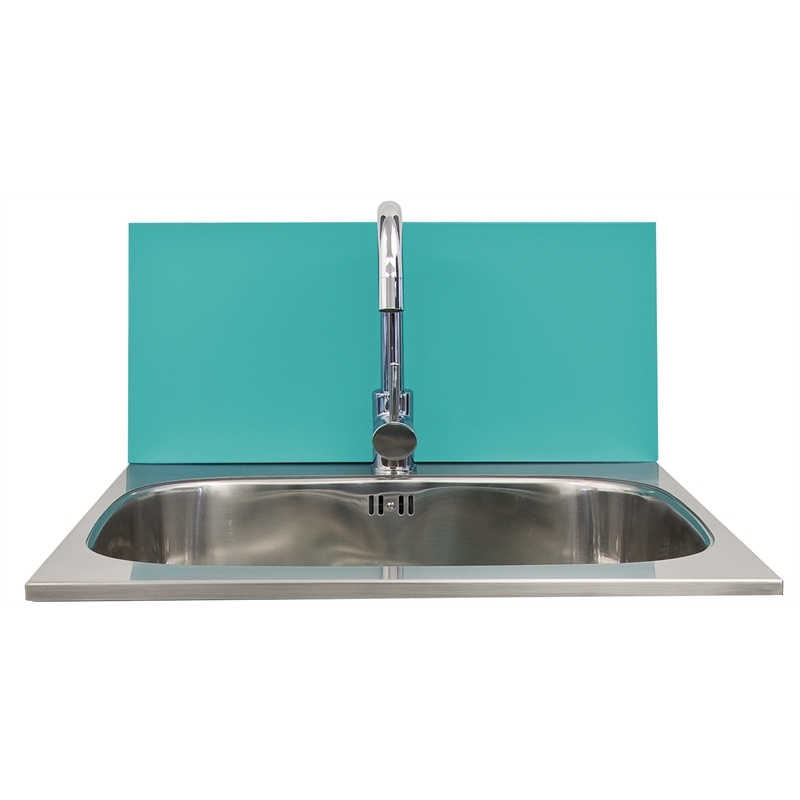 A vibrant Aquarium (aqua) powder coated galvanised steel splashback to compliment the Dissco 565mm Twin Drawer laundry Tub range. Simple clean lines provide the perfect finish. A colour match to the TD565EAQ tub or choose to contrast or compliment other features of your laundry. Special order only. Made to order.